Despite my passion for the organ, that endlessly fascinating machine which Mozart gave the enduring appellation "The King of Instruments," I consider myself a musician first, then a keyboardist. Since music making is an art of communication, my primary objective is to convey with integrity and persuasion the messages and gestures of each composition to the best of my ability. While conceptually interpreting a work is a multi-dimensional dialogue of the mind between the composer and the artist, actually presenting the work in performance must involve the listener integrally in the interaction. Consequently, it is of utmost importance for me to make the musical conversation of a recital as meaningful as possible by matching the literature and styles to the occasion, the instrument, the environment and the demographics of the audience. Many artists seem to find the word "entertainment" distasteful and resent being considered entertainers. Perhaps they should revisit several of the classic definitions. To entertain in the active sense is to hold the attention of or to elicit favorable response. In the passive sense, it is to consider, contemplate or hold in mind. Both imply a giving/receiving of pleasure or enrichment. A musician who informs while performing, who captures the attention of the audience, who helps them to reflect and gives them something to remember is an entertainer in all aspects. I love performing and communicating with music. 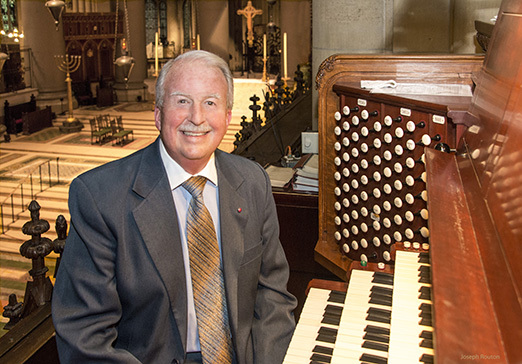 I want people who come to my concerts to go away feeling pleased that they made the effort to be there, given the number of other choices competing for their time, to be able to reflect on things that held their imagination in the program and to feel positive and open-minded about attending the concerts of other musicians -- not simply organists -- in the future. I want my sponsors, those persons who have donated to buy the instrument and/or underwrite the event, served on committees, publicized and provided hospitality, to feel they have participated in something worthwhile for their community. Not just for myself but for the profession, I want them to be willing to do that again. If live performance is to survive and attract new generations of listeners, artists must strive to keep the "life" and yes, the entertainment, in the process.